Northern England, namely Manchester, is getting its first Amazon office. This is according to a new report by Reuters, which claims that the US retail giant will be looking to employ at least 1,000 people. However, not all of them will be hired in this new Manchester office. The company is also looking to expand its two other centres. The roles will mainly be in research and development, it was said. Roughly 600 positions will be either corporate or development jobs, with 250 positions in Edinburgh’s development centre and 180 positions in Cambridge. Amazon’s UK country manager Doug Gurr said Britain was taking a leading role in the company’s global innovation. “These are Silicon Valley jobs in Britain, and further cement our long-term commitment to the UK,” he said. 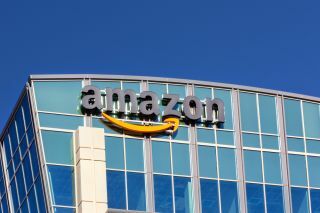 The new hires will work on Amazon tech for personalisation in shopping, machine learning, Alexa, Amazon Web Services (AWS) and Prime Air, the company’s drone delivery project. Earlier this month, it was reported that Amazon was looking for retail space in London, to open its first Amazon Go store. Those are cashierless stores in which customers can simply walk in, grab what they need, and walk out. In-store sensors and a mobile app take care of the payment.